A warning to everyone on Internet. 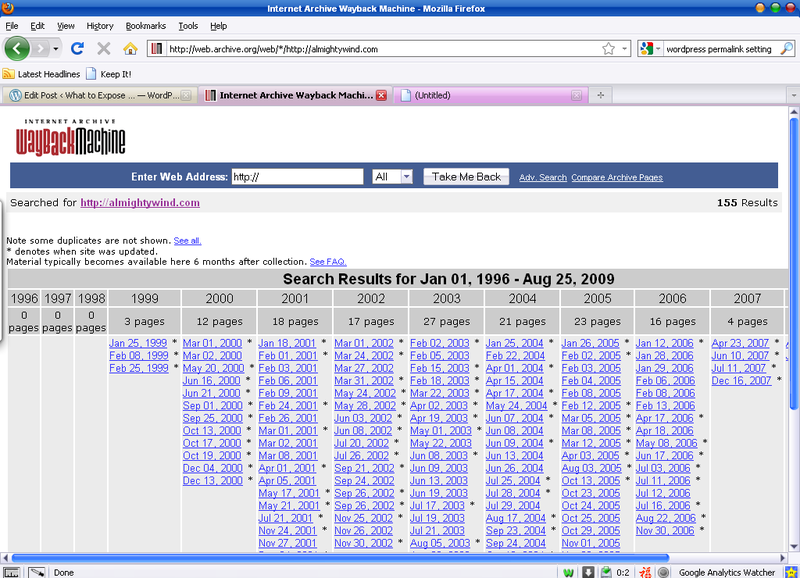 Note: Amightywind has been on the internet for 14 years but turns 21 years old on April 10, 2009. The Ministry has existed for 21 years but has only been on the internet for 14 years. I hope this clarifies all the birthdays and anniversary’s being celebrated. Each birthday and anniversary this Ministry has is a victory in YAHUSHUA our MASHIACH because the devil has tried to stop this Ministry before I was even born. look at the paragraph in blue. Before you believe what they said, you had better made a research towards the websites. The age of the domain name? AMIGHTYWIND.COM: from 1997 to 2009??? 2009-1997 = only 12 years. The age of the domain name? ALMIGHTYWIND.COM: from 1998 to 2009??? It is even worse! 2009-1998 = only 11 years. Please, I need someone with better Mathematics grade to tell me if I’m wrong with the “ages” of the websites. None of these two amightywind.com / almightywind.com domains are 14 years old. no page for years before 1998. 2009-14 = 1995. 1995 <> 1998 so where is the so-called 14 years?? 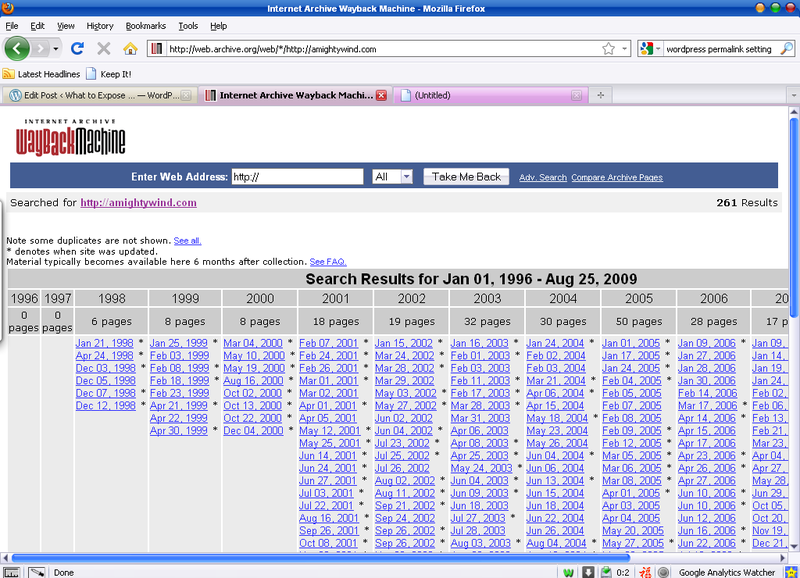 There is no page for years before the year 1998 of amightywind.com. 1995 <> 1998, People. So where is the so-called 14 years?? Again, where is the so-called 14 years that has been claimed by http://amightywind.com/prophecy/proph110.html ??? I don’t think the real YAHWEH (whom they wrote as YAHUVEH) and the real YAHUSHUA (aka Jesus Christ) would ever have poorer Mathematics than we humans do. I don’t think the real YAHWEH wouldn’t notice and alert the so-called Prophet of the websites that the paragraph has wrong age for the ministry. That would contradict what the Bible said: Proverbs 8:22 says that YAHWEH was the One who created Wisdom. I want to ask you, People, who has told us the truth now?? ?